Thanks Jody, and I see you got the Gravatar image going. I like it. It fits your sensibility….a beautiful flower in full bloom. How did this happen to him? I was his lover for over thirteen years. I am not doing very well. Love your work and prose, good to meet you, and glad I stopped by. Can’t wait to see more. Hello, blog buddy! I am surprised, Walter, that you know the work of PINA BAUSCH, the German choreographer of dance theater / Tanztheater Wuppertal so well! I’m glad that I found your blog! Yes Pina Bausch for me stands above the rest. Cannot explain why I have been drawn to her work. But I can say that for me she exemplfies the avant garde in post modern dance. The Next Wave Festival at the Brooklyn Academy of Music, held every fall in NYC, is where I first saw her. She is always provocative and exciting. You feature interview of me is wonderful. I truly appreciate it. Thanks for the comment on my bolg. I can’e describe how much I love your works. Please keep going! Thanks Renfang, it was a pleasure running across your blog as well. It is always nice to explore the creativity of others. Wonderful little history of the progress of digital imagery. In 1987 I met my future husband, who had just launched his own private video production company after working for PBS and in advertising for several years. I watched, over his shoulder, as computers evolved and digital imaging exploded onto the scene, making so many things possible for so many people. Each new generation of computers and software tickled his fancy. He passed away in 2008. I can only imagine the wild and crazy things he’d be doing now. Thanks Linda, I really appreciate you stopping by, I hope you will do so again soon. Hi – this work is fantastic. I may ‘mess around’ in photoshop, but really, your work is on another level. Very well done. Hey df barker, thanks for stopping by my blog. I appreciate the comment. I was a painter when I was in college, so I can very much appreciate your work as well. I try to find a paintery feel and look to many of my images. love your blog. great images and content!! Hey, Bruno, thanks for subscribing. That is so cool. I will be spending time on your blog as well. Thanks Nandini. You have been a faithful blogging partner and friend. I certainly do appreciate it. Your reflective work soothes and transports my imagination. Your work is beautiful! I am very excited to follow your blog and watch how your passion brings much deserved success for you. Congratulations and keep following your dreams. Hi Kelly. Thank you for following my blog. I appreciate the kind comments, and look forward to getting some good advice from your blog. I admire your mission statement regarding helping and sharing your art. Technology has changed the world and your art is in there. Keep up the good work. Thanks P. Your work is so moving. As we move forward we must hold on to our traditions as well as utilize our technology to create exciting new art. Hi Soma, I am happy you found my blog worthy of a “One Lovely Blog Award”. What an honor it is to recieve it from you. Thank you. I will be putting it up on my blog. Peace and Light Soma and spiritual blessing to you. thanks for following my blog…I will follow yours as well. Nice pieces of art you’ve posted here! Thanks Joanna. Looking forward to your posts. 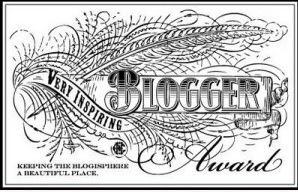 I nominated you for an inspirational blogger award!! I want to show my appreciation of your blogs. I am happy I found your blog, and enjoy all the forms of media you post!!! Thanks so much for thinking of me in this regard. 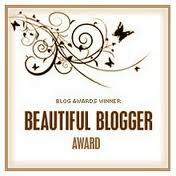 I have been previously awarded this inspiring blogger award, but accept yours as well. With joy. Walter, your art is amazing. I love the stories they tell. And yes your right we do hold a lot of the same ideas and more to the point, while I am a southern girl now (Tennessee) I was born in PA, Pittsburgh. I will come back to visit your beautiful blog. I was planning on a series about the Chakras, and may ask for permission to use your pictures, instead of some random Google image. Hey Walter – thanks for stopping by my blog. This is great work, beautifully presented, my friend; I’m a copywriter by trade, so I work with and have enormous respect for with graphic designers and digital artists. And of course I’m a bike-rider too: I think I spotted a Trek headtube badge and a Bontrager rim in a couple of the images…I’m a Trek guy too: I have a 2004 ‘last of the US Postal Service’ OCLV road bike, and a 2010 Madone. Fine machines both. N.
Thank you George. I really do appreciate it. It means a lot to find my work to be inspiring to others. Sometimes I feel a little lost. But a thought such as this is so uplifting. My pleasure! I know what you mean and it really is uplifting. Keep up the good work! I gotta thank you for stopping by. And I certainly appreciate your comment here. I also must say I like your blog name “sometimesimsuchagirl”. Really cool. Me again! I have been enjoying all your images and always can’t wait for the next post 🙂 Therfore I have decided to pass on the One Lovely Blog Award to you! Enjoy! Thank you very much. I will make sure I get it up on the blog. I have been busy, so it may take a few days to get it there 🙂 Looking forward to jumping into you work as well. Peace and Light my friend. By the way, what is your name? Did I miss it on your blog? Thanks Jaclyn. I will check out your latest posts. Greatly enjoying your images, Walter. Thank you. I am glad you like the piece. Thanks for stopping in, the likes and signing up! For some reason I couldn’t send you a mail via Imagekind, so I’m writing here. There have been some changes / updates at Imagekind and it seems our recent images and favorites are lost. …and magically your recent images and favorited [yours by others] will reappear! Thank you for following my photo blog and all the “likes”! I really appreciate your interest. Your work is very creative with a keen eye for composition, color, textures and feeling. I am headed to your City Series now! May we be an inspiration to each other! Best to you! And I thank you for stopping by as well Tiffany. It is much appreciate. Thank you very much Sharon. I have already received this award, however the thoughtful ness from you is so appreciated. Peace and Light my friend. I’m glad that I know you and am a part of your blogging family! Long life to your blog and your art. So many cool things you have here! keep going, this makes me dream. And thank you for the dreamy comment. Peace. Hey Walter! Nice to meet you and see what you are doing artwise! Amazing stuff! Takes you to other worlds! wow! Thank you Alana. Will be back through your blog. Thank you Lynne. I am very pleased to hear that my work resonates with you. As artist, we need to feel that our work connects with the viewer. That perhaps what is said, or expressed is both meaningful and transformative. Thanks for the follow! You have a wonderful blog! I’ve nominated your blog for the Reality Blog Award. I enjoy your wonderful photos immensely. That was so very nice of you. I appreciate it. I hope all is well with you. I will stop by your blog and see what you are up to. Thanks Cari-Ann, it is what our artist commuunity is all about; sharing our vision, inspiring one another, and as you say … “paying it forward” 🙂 I am looking forward to follow your work as well. Peace and Light. Thanks for sharing your story – it’s amazing that men went to the moon and did all other manner of things with relatively small computing power – now we would gasp to have this limitation. Hey Chas. It is quite amazing what we can do with our imagination regardless of the technology. Thanks for stopping by. Hi ileneonwords, thanks for stopping by. I am glad you liked the work. It is very difficult I think to stop someone from downloading your work. You can copyright it. I try not to worry about it. I don’t mind if some one downloads for their personal use. However selling it is a different thing indeed. I have my website through Vistaprint. It works well for me. Just encourage your husband to follow everything to its fullest possibility. Namaste. I am so honored that you took the time to read my blog, and grateful that you commented so that I could find my way to yours. I look forward to being inspired through your images and your heart as I follow your work! Thanks Colleen. It is an honor as well. I was drawn to your blog via your wonderful title ‘Fragments in Light’. Very nice, and it conveys so much promise. Ciao Walter 🙂 Thank you for the follow! Please be aware that my blog is a bilingual one. I’m trying to keep the posting balanced between the two languages. Keep up the good work and Happy New Year!